We offer a variety of customised kitchen forks. If you are interested and would like to know more, please feel free to contact us. The fork is an ancient agricultural tool. After many centuries, no one thought that it could be used for eating. It was not until the 11th century that a young lady from Constantinople brought her fork to Italy, a custom that was passed to Europe. Stainless steel cutlery cutlery refers to the utensils used by Westerners when dining, including the main knife, main meal, main fork, tea fork and so on. 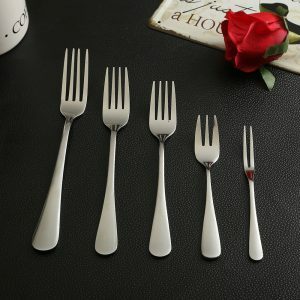 Stainless steel Western fork: To take the fork with your left hand, fork the food and send it to your mouth to be light. Pick up the right amount of food and put it in the mouth. When you pick up the food and put it into the mouth, the teeth only touch the food, don’t bite the fork, and don’t let the knife and fork make a sound on the teeth or the plate. 1. It is not allowed to hold salt, soy sauce, vinegar, vegetable soup, etc. for a long time. Because these foods contain a lot of electrolytes, if they are kept for a long time, stainless steel will also react with these electrolytes like other metals to make them harmful. The metal element is dissolved. 2, should not use stainless steel pot Chinese medicine, because Chinese medicine contains a variety of alkaloids, organic acids and other ingredients, especially under heating conditions, it is difficult to avoid chemical reactions with it, but the drug fails, and even produces some toxicity Large complex. 3. Do not wash with strong alkaline or strong oxidizing chemicals such as baking soda, bleaching powder or sodium hypochlorite. Because these materials are strong electrolytes, they also react electrochemically with stainless steel. 4, can not be empty. Compared with iron products and aluminum products, stainless steel cookware has low thermal conductivity and slow heat transfer time. The air burning will cause aging and falling off of the chrome plating on the surface of the cookware. 5, to keep the cookware clean, often scrub, especially after storing vinegar, soy sauce and other condiments should be washed in time to keep the cookware dry. 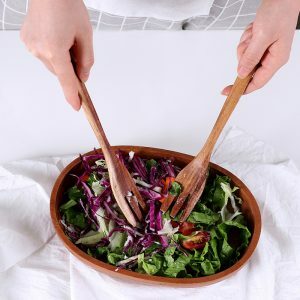 The biggest advantage of bamboo and wood tableware is environmentally friendly green, which is now used by more and more people around the world. Bamboo and wood tableware are all made of bamboo or solid wood. They are exquisite and chic. They are not only practical, but also have artistic embellishment value. They are both practical and artistically decorative in the home. 1, milk to taste the law. Wash with detergent first, then pour two soup keys into the plastic tableware, cover, shake, make every corner of the cup contact with milk, about one minute, finally pour off the milk, clean the plastic tableware clean. 2, orange peel to taste. Wash it with detergent first, then put the fresh orange peel in it, cover it, and let it clean for about 3 to 4 hours. 3. Deodorize with waste tea leaves. There is astringency in the plastic tableware. It is first scrubbed with waste tea leaves, then rinsed with water, and the smell is removed. 4. Soak in salt water for 30 minutes. If the above methods can not remove the odor of plastic plastic tableware, and the hot water is a strong irritating smell of plastic tableware, consider not using this plastic tableware to drink water, maybe the plastic material of plastic tableware is not good, use it to drink Water may be harmful to health, or give it up and replace it with plastic cutlery. 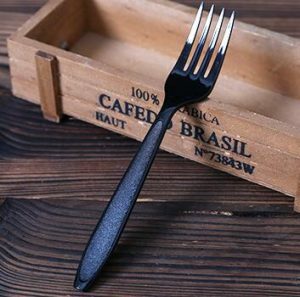 Our knife cutlery manufacturers are able to customize high-quality cutlery and other products(such as bowls, plates, cookware, tableware…), if you are interested, please contact us.